We have featured a couple of transforming tiny spaces that make small space living fun, creative, and comfortable. In today's edition of Jumpstart Your Day, we put the spotlight on a 700-suare-foot apartment that can be shared by two couples or two occupants. It showcases a 20sqm communal space where the kitchen and dining areas are located. 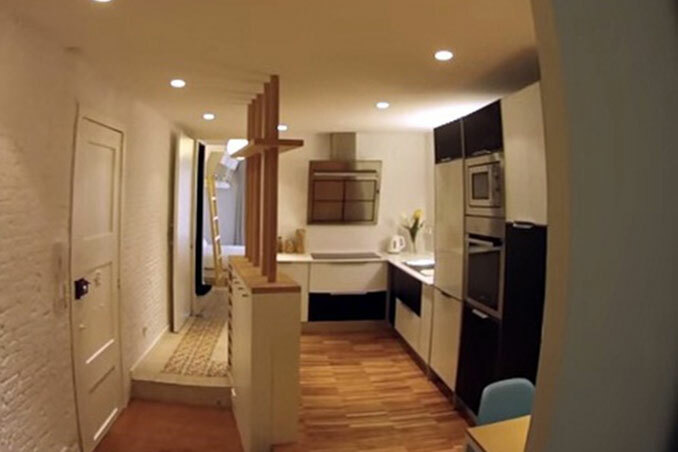 Meanwhile, the two micro units have a sleeping area with a "mezzanine" or mini loft which can be turned into a private nook or lounge area, a bathroom/shower area, and a table which can be used for dining or working.